We have been doing a lot of things differently with our blog, Facebook and other social arenas. I even started sharing on my Instagram and actually like it. Sharing and interacting with people over Facebook is now my favorite past time and I have started liking Facebook. The reason why I am sharing this is because we are changing, growing and that means a lot of different things for us and you our reader. Most of you have been here since long and nobody said a thing when I did not post for weeks together. I hope those of you who have cheered us through our wins and mistakes have noticed we are much more regular and not only that the posts are less about us and more about you. Until recently the blog was just a way to share what we want to show the world. It was more like a tool to make our loved ones jealous the same reason most of us post on social media. Readership has been good and most of our metrics are in a great range, so much so that we got into one of the coveted blogging clubs in India. As we looked at and followed others who have established themselves as the experts we realized we were being unfair. There is no use of sharing our travelogues when all you want to hear about is how we get our leaves or how we get free flights. 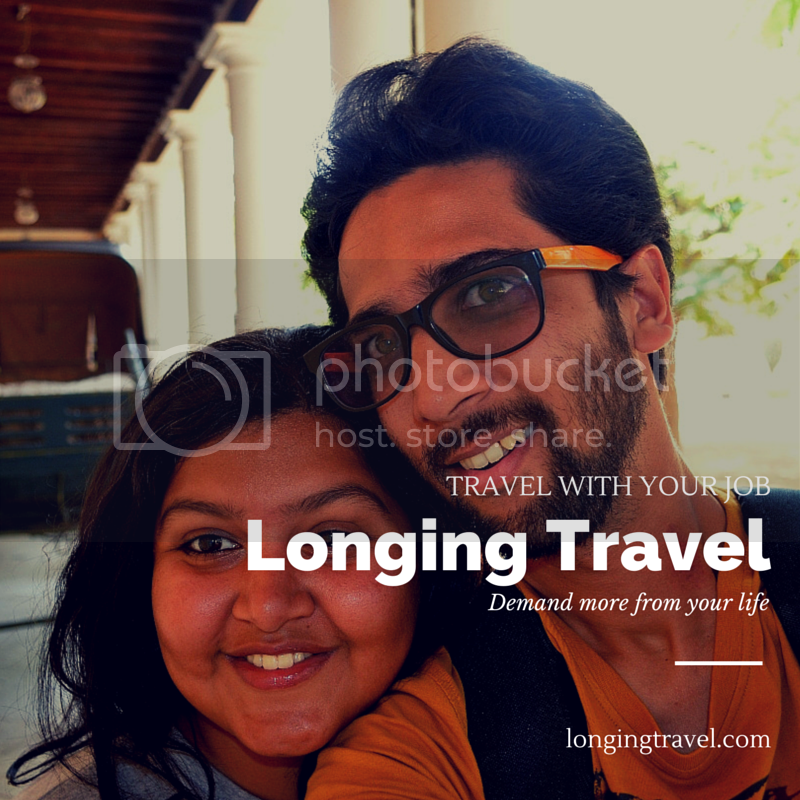 The Travel with blog series is our way of sharing what we do with limited resources, a desk job and an Indian Passport. We have also been hearing a lot of you want to hear how to travel hack with our Indian passports and Indian addresses. We have decided to do a specific series for you which should begin sometime next year around February. We are also taking in suggestions and you can invite yourself to be among those who get the entire series in their mailbox as a PDF, but that would come in way later. What has me excited right now is this awesome course that I have planned and will soon be delivered in mail to those who have signed up. Keeping all launch techniques in mind I should have put up a huge launch and I might do it eventually; when we build it into a full blown course for those who want to travel but face questions and uncertainties. In past 5 days since we have started taking in registrations for the course we have had seven people sign up. Even though we would like to have everybody on the list, we are closing the registrations by 10 December, so that we can tailor the content, worksheets, resources for those who have registered and create something which truly helps them. The course delivered daily from 25th December to 31st December covers various aspects of travel in brief. there is only so much that I can put in a mail but then I have included worksheets posters and other awesome resources to keep you motivated and get you travelling. How to Identify and resolve the psychological barriers of travel.- What is stopping Your From Travel? How to pack for your travels so that you do not drown in your own luggage. How to get the best deals and free travel opportunities. How to plan your travels so that you actually travel. In my opinion the first and last topics in the list are the most important and if you adopt even 20% of these you will be travelling more and with increasingly less problems, doubts and monetary issues. Along with all of this there are a few surprises coming for you along the way. They recognize that the want a change, you wanting change for them isn't as powerful. They are ready to accept the truth. Truth is bitter an not easy to swallow for most. They can think for themselves, and are ready to accept that what everyone around them thinks might not be the actual truth. Know anyone like this, send them this link and be the catalyst of change in their life. Those who think of us as weird people with no responsibility or problems. Also if you never read our mails or do any of the things we recommend, I don't think you are going to get much out of this, if at all anything. There are a few reasons why against all that we have been taught we decided to keep the course free. It is a initiation ceremony of sorts and I don't believe in charging people for that. If it was a full blown consulting gig or detailed course with step by step framework I would think about putting a price on it. Most of my readers would probably never buy a course unless they know how we can help them. In a society where people think about travel after they have done everything else asking them to spend something to learn how to get started would probably not work. We believe that everyone should travel and if we can help a few to get started or overcome their ideals and fears we would be very happy. Yup there I said it... this is just not about travel, you can take all of this and apply it to anything. If there is something you want to do but can't sum up the courage for it, read the first mail and work on it. Packing less will make you buy less and voila you are on the road to de-clutter your life. The last mail would probably help everyone you know and maybe more. A brief version of our 10$ book this will set you on the path to get more from your money. Where you spend it is on you. Forward and upward, is the only place we can think of right now. More and more of you are joining us here on the blog, Facebook, Twitter, Pinterest, Instagram and Google+. We are not just happy to have more fronts open for you to join us we are also hoping to have more and more opportunities to share special discounts with our email subscribers. In case you are not on that list yet join us here. If you would like us to write more about a certain topic let us know in the comments or mail us here.